Pictures can say a thousand words, and when it comes to science a good picture can explain so much more. The ability to visualise your data, information, and interpretation, is something that I have always felt is hugely important. From day to day I sit at my desk surrounded by papers, post-it notes, notebooks, and laptops; each used together in an effort to better understand and document my work. 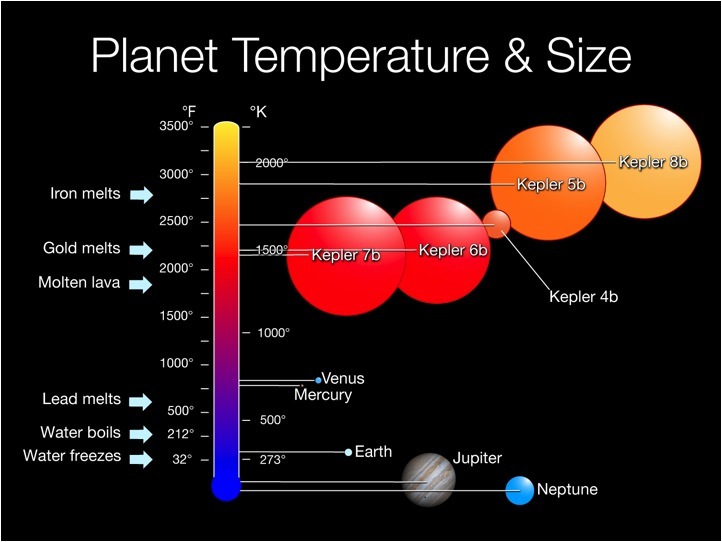 I am currently studying the atmospheres of hot Jupiter’s, giant planets orbiting close to their stars; and even with all of the facts and information in front of me I find it difficult to imagine such worlds. Their stars can range between dwarfs and giants, active or quiet, old or young. These giant worlds can have over 20 times the radius of Jupiter and yet lie within the orbit of Mercury. At these distances flares and coronal mass ejections from an active star would throw high density plasma right at the planet if aligned in the same direction. The planet may even cause a tidal bulge on the stars atmosphere due to gravitational forces as the planet is locked in its orbit where its day is as long as its year and a terminator region permanently marks out the region between day and night. 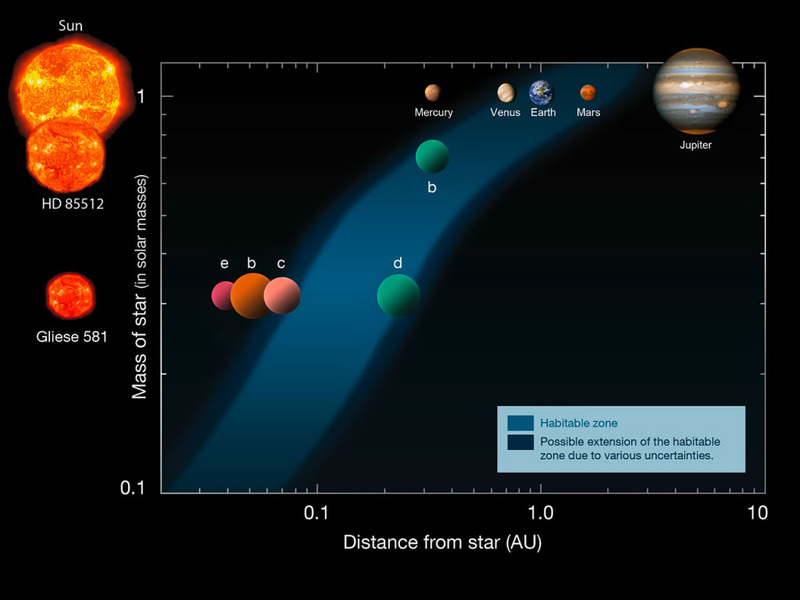 There are so many factors for each of these hot Jupiter systems that make them different. The slightest difference in their stars, their orbit, their size, their atmosphere, can change what we would see. How can we begin to separate them? I think that the focus seems to be towards theoretical astrophysicists when it comes to data visualisation, with their brilliant simulations and movies. Or in the public eye with beautiful observations and graphics, something which NASA triumphs in, that makes it accessible to the general viewer. But one thing trumps them all, and it may sound boring and make you groan but sometimes all you need is a good graph! The title image of this post is part of the ESO public archive and is a fantastic example of the combination of each of these ways to visualize data and it also shows that graphs can look pretty too. A few more of my favourites are shown below as well. Each of these different ways to visualise facts and data has one goal in mind, how can I make you see what I see in the clearest possible way. Stripping away the jargon yet leaving the core science behind in all its glory. 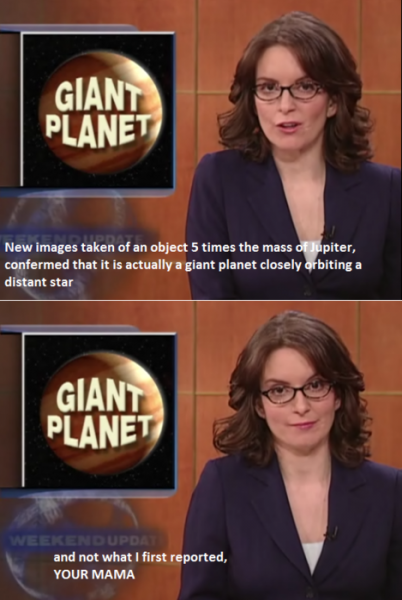 And one proud moment where exoplanets got their face onto SNL.